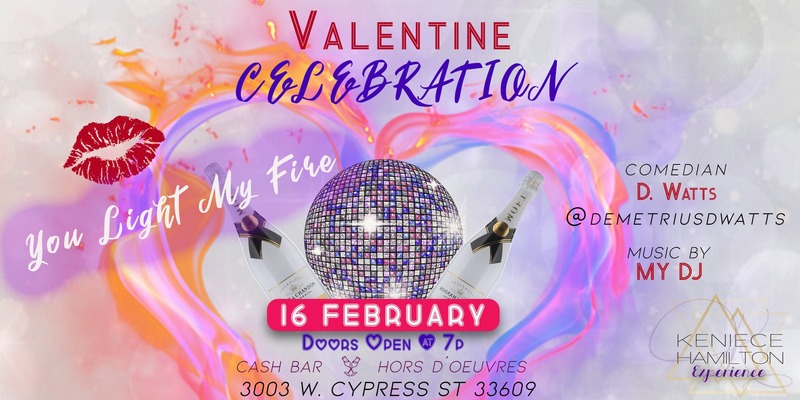 K Ham Experience Presents You Light My Fire Valentines Celebration! The honor of your presences is requested on Saturday, February 16th. Event located at Tampa Letter Carriers on 3003 W. Cypress St 33609. Doors open at 7pm with FREE parking, cash bar and hors d'oeuvres. You Light My Fire music by Mz. Marina @mz.marina, comentary by Demetrius Watts @demetriuswatts, plus spoken word from Keniece Hamilton @keniecehamilton. Join and celebrate a night to remeber with your loved one!